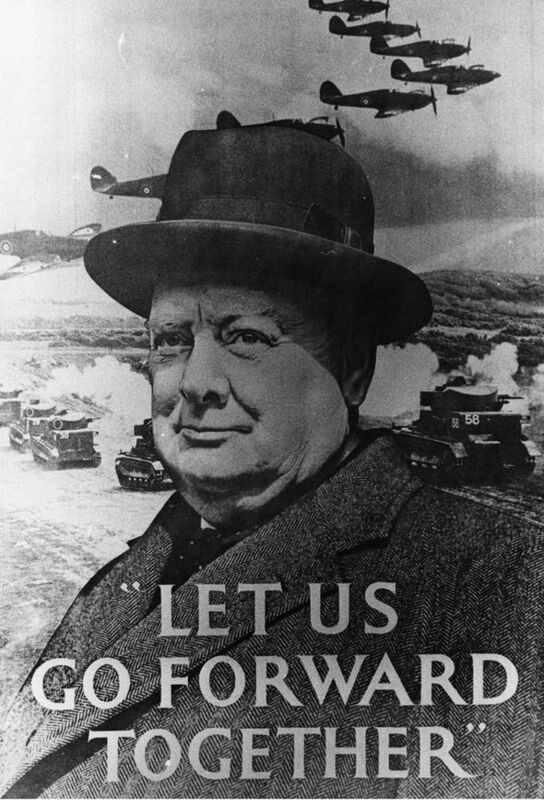 The Second World War welded Britain into a united nation. The pre-war divisions so well portrayed in Downton Abbey were swept away by a successful defence against an existential threat. The bonds forged to unite the nation were the welfare state and the Butler Education Act. They were the foundations of my journey from a council estate in Plymouth to university in Liverpool and a life spent protecting our environment. Those bonds have been corroding for some time. Last week they burst. Deciding to leave the EU is as momentous as was the decision to fight on alone in May 1940. Then, as now, it was fiercely contested, albeit out of sight of the public. Halifax, the Foreign Secretary, mounted a vigorous campaign to cut a deal with Hitler and keep the Empire. In the end, Churchill prevailed and Britain decided to fight on. Then, as now, the consequences of that decision weren’t just unknown, they were unknowable. Then, as now, there was no plan. We made it up as we went along. There is no plan for how we leave the EU. British voters were not asked to choose between two carefully planned paths to their future. They were simply asked if they liked what they had or would prefer something else. Given the corrosion of those war forged bonds they took the opportunity to send a compelling message. A brittle carapace of deceptively bright headlines had long concealed a seething stew of discontents. The Prime Minister’s decision to hold a national referendum on EU membership drilled deep into this reservoir of misery. The pressure released blew away the carapace and revealed the sorry state of the bonds which unite us: young against old; city against countryside; graduate against labourer; Scotland against England; affluent against poor, career against zero-hours contract. Choices have consequences. The British people have yet to learn those of the choice they have just made. Today’s world is very different from that of 1940. For a start, then there were just over 2 billion people on the planet now there are 8 billion. It is very much more complicated. Our lives have become much more entangled, economically and digitally, as all of us struggle to survive and thrive. It is much harder now for the rugged individualist to do well, whether as a person or a nation. The voters who chose, whether to leave or remain, on Thursday all did the best they could to do what they thought right for themselves, their families and their fellow citizens. There is something very encouraging about a 72% turnout – more than at the general election. It says much for the strength of our democratic culture that so many of us worked through the confusion created by sometimes malign newspapers to make a choice. But it says less for a Conservative Party that offered them a choice most had expressed little interest in making and few felt fully ready to make. The constitutional consequences for Britain of the decision to leave the EU are larger than any since the 17th Century. They will reverberate for as long. ‘An ignorant man, who is not fool enough to meddle with his clock, is, however, sufficiently confident to think he can safely take to pieces and put together, at his pleasure, a moral machine of another guise, importance and complexity, composed of far other wheels and springs and balances and counteracting and cooperating powers. Men little think how immorally they act in rashly meddling with what they do not understand. Their delusive good intentions are no excuse for their presumption’. I could not have put it better myself. I have little reason to believe the Boris Johnson has any more idea of how to put back constitutional relationships he has disturbed, to Europe, to Scotland and Ireland, or to the rest of the world, than he does about how to reassemble a clock. But he has played a merry part in taking those relationships apart. The least he owes us for his presumption is his plan for putting them back together.